This New Year is going to be an advantage for the aspirants who are ambitious to move to Canada. Keeping in mind the Canadian Immigration drafted better and ambitious plans of Immigration for the coming year. Keeping in mind about the thriving immigrants, the Canadian government has made a bigger plan. The plan was all about the “One Million target” of Canada immigration by the year 2020. This decision was made in the House of Commons on 1st November 2017. This was named as ‘The Multi-Year immigration Levels Plan’. The Canadian government is inviting a wide range of 330000 newcomers by the year 2019 and more by the end of 2020. Isn’t this the best opportunity for an aspirant? Definitely the best in the whole Canadian history. The Immigration Minister Mr. Ahmed Hussen stated,” This historic multi-year immigration levels plan will benefit all Canadians because immigrants will contribute their talents to support our economic growth and innovation, helping to keep our country at the forefront of the global economy” in a press conference in Toronto. As we talk about the success rate of Express entry applicants in the year 2017, there is a surprise package waiting for the aspirants in 2018. Considering the amount of pressure that the aspirants are going through, the Canadian government has come down by cutting-off few thresholds in CRS and by opening the provinces more frequently. There are certain Economic programs that are going to be launched to allow almost 565,000 candidates to the country in the coming span of three years. Since its birth, Canada express entry has always been a smooth transition in fulfilling the dreams of the aspirants as well as the need for skilled workers for the country. It always has been a well experienced and a flexible process which allowed more aspirants to choose this path for the fulfillment of their dreams. It has made a record in the Canada’s history when the largest number of ITA’s was ever issued in the Canada express entry 2017 draws. With the new amendments to the express entry system in 2018, much more records are going to take place is what is expected. Another successful path of immigration is the Provincial nomination program. In the current year, aspirants were offered to take part in the provincial nomination programs which were offered by the provinces. They had given opportunities to the skilled professionals depending upon their talent, experience and eligibility. 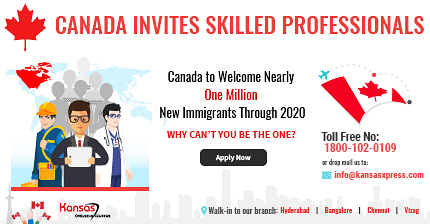 By offering the best, Canadian immigration is going allow nearly 184,000 economic immigrants and their dependents to apply for PR visa through this Provincial Nomination program. An added advantage is that the provinces have also decided to make it a much more facile procedure in the coming year. Alberta aligning one of its AINP streams with Canada Express entry is an open example when the country says it has made the provincial program a smooth transition. Another improvement in the Country’s immigration plan is that Quebec is back in the race. In the coming year Quebec which has been operating on its own immigration policies is also expected to open for new applications. It has aimed for almost 94000 applications in 2018 of all the skilled and business aspirants and is expected in the span of next three years. It sure is a Bonanza for the dreamers who dream of settling with a permanent resident visa in Quebec. According to recent census of 2016, 22% of the entire population of Canada is made up by first generation immigrants. With the best efforts put in place by the Canadian government and the rising efforts of skilled immigrants the share of Canada’s population may rise up to 30% by the end of 2036. The entire process since its birth in 2015 has been giving many skilled workers and business people and their dependents the joy of living in Canada. If you are looking for settling in your dream destination, then we suggest you to walk up to us in any of our nearest branches in your location or call 1800-0102-0109 for detailed information.